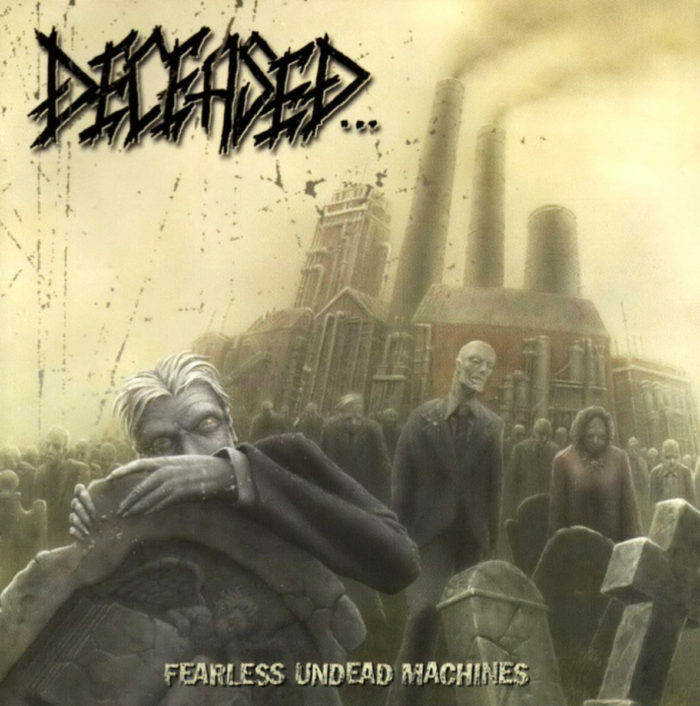 Death/speed metal hybrid band Deceased‘s Fearless Undead Machines has been reissued on CD by Transcending Obscurity Records. I’ve given this band far more fair chances than it has deserved. The songs well overstay their welcome. It isnt even that they lack focus but simply take what would otherwise have been 3 minute heavy metal masterpieces and stretch them out to obscene lengths to fill an album with less actual songs. Their first album, Luck of the Corpse, doesn’t suffer from that problem. I like Luck of the Corpse and Birth by radiation demo. Couldn’t get into their later albums. Fearless undead machines couldn’t do it for me neither.